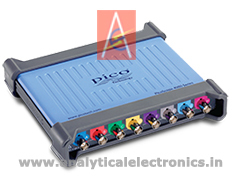 The PicoScope 4824 is a low cost, portable solution for multi-input applications. 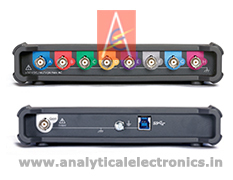 With 8 high-resolution analog channels you can easily analyze audio, ultrasound, vibration, power, and timing of complex systems, and perform a wide range of precision measurement tasks on multiple inputs at the same time. Although the scope has the same small footprint as Pico’s existing 2-and 4-channel models, the BNC connectors still accept all common probes and accessories with ample spacing of 20 mm. Ask for PicoScope 4824 detailed specification.